As a kid, perhaps the first taste into the world of cinema that I had was of the Disney’s flicks. Right from movies like Tarzan, and characters like Mickey Mouse, Donald Duck et al, Disney has shaped the cinematic journey of folks like me in a wondrous, fulfilling and cherishing way. Disney movies have forever been known for their unique thought process right from the premise to the execution, their characterizations and the animated way of presentment, which has so far been appealing to the kids as well as adults. Not only that, with subsidiaries like Pixar, Marvel, Lucasfilm etc., the purview of Disney’s movies has grown leaps and bounds to the fantasy and superhero genres, thus making The Walt Disney Company one of the richest and profitable film studios in the world. Incidentally, the first movie that ever came out of the studios was ‘Snow White and the Seven Dwarfs’, an animated flick which was released in the year 1937 and happened to be one of the highest grossing movies of the year of its release. Following the success of its first animated film, Walt Disney ventured into live-action cinema and the next couple of decades witnessed a bunch of live-action movies coming out of Disney’s kitty. With Pixar’s merger with Disney in 2006, which was a revolution in itself, we have seen the quality of animation growing leaps and bounds – with movies like ‘Up’, ‘WALL-E’, ‘Coco’, ‘Inside Out’, ‘Frozen’ etc. which have been deemed as timeless classics of the space. Marvel Studios added another feather in Disney’s cap, with the now Marvel Franchise (The Marvel Cinematic Universe) being called as the highest grossing film franchise ever, grossing over $17 billion worldwide, with 20 movies in its kitty as of date. With Disney being a conglomerate, we have tried to cover the best of Disney’s movies, including Pixar and Marvel Studios’ combined, as a part of this list. Although Netflix US isn’t very comprehensive in covering “all” the Disney’s movies, it still has a pretty amazing collection of movies – live-action and animated, which stand out from the rest by being distinctive in their style, their impact and the way they’re remembered as of date. Disney has certainly built one of the biggest movie empires. Its talent for creating unique and powerful stories has made an impact on several generations. It is rare to find someone who did not watch its films growing up. Disney is soon going to launch its own streaming service but for now, here is the list of really good Disney movies on Netflix, some of which would take you down the memory lane. The list includes Disney princess movies and classic old Disney movies. The movie begins with the infamous evil Dr Hamsterviel, who has broken out of the prison and created the Stitch twins. Meanwhile, Lilo, Stitch, Pleakley and Jumba find out about Dr Hamsterviel’s prison escape and devise a plan to take over the Stitch twins. Jumba is then forced by Dr Hansterviel to create Leroy, the doppelganger of Stitch which devours anything that comes its way. Lilo, Stitch and Pleakley, along with Jumba must join forces before its too late or that Dr Hamsterviel takes over the entire universe. ‘Leroy & Stitch’ was dubbed as a standard issue without any particular movie moment to be excited about. Mia Thermopolis lives with her single mother after the demise of her father in a run down remodelled apartment. In her school, she’s perceived to be shy, introverted and socially awkward, which she is, and is friends with Lilly and her brother Michael, who are very similar to her. Mia comes to know that her paternal grandmother is visiting them prior to her sixteenth birthday from Genovia, little did she know that her paternal grandmother is actually the Queen of Genovia and her late father was the crown prince, thus making Mia the heir apparent to the throne. Mia must now learn the princess’ ways in order to become worthy of royalty and she makes new friends and finds new love in the process. 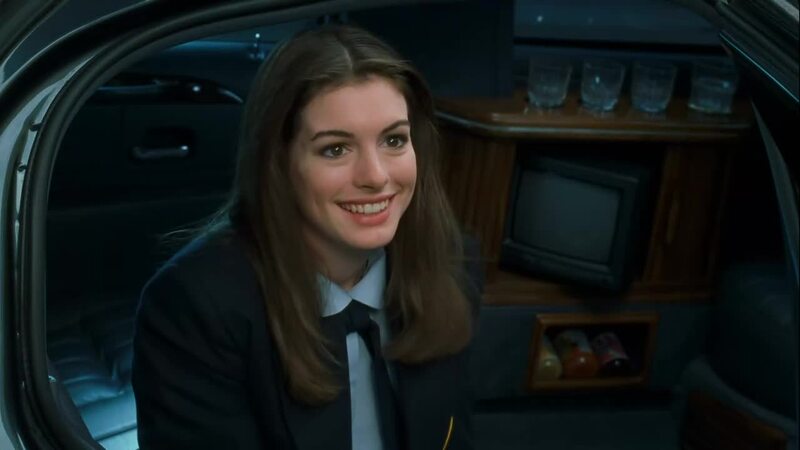 ‘The Princess Diaries’ was Anne Hathaway’s debut movie and is often considered a perfect movie based on the story of teenage girls. In this sequel of the adventures of Lilo – a seven-year-old fan of Elvis Presley and Stitch – a dog-like alien are all geared up for an upcoming Hula competition. All of a sudden, Stitch has a glitch – he gets diabolical and begins to exhibit violent, erratic behaviour. Apparently, Dr Jumba who had created him forgot to charge all of his molecules, thus leading him to exhibit such an aberration. If Stitch is not immediately treated in Dr Jumba’s special experimental chamber, Lilo risks losing the life of her favourite companion. The movie ‘Lilo & Stitch 2: Stitch Has A Glitch’ maintains the originality, wit and flavour of its predecessors and boasts of an outstanding animation. For Lilo & Stitch fans, this flick is unmissable. Essentially Goofy’s back to school stint, ‘An Extremely Goofy Movie’ begins with Max, Goofy’s son who is about to have his first taste of college life. Owing to implacable pondering over the issue, Goofy gets fired from his job and finds it difficult to find another in a short notice. Goofy then decides to join the college and get an education for himself, much to Max’s embarrassment. 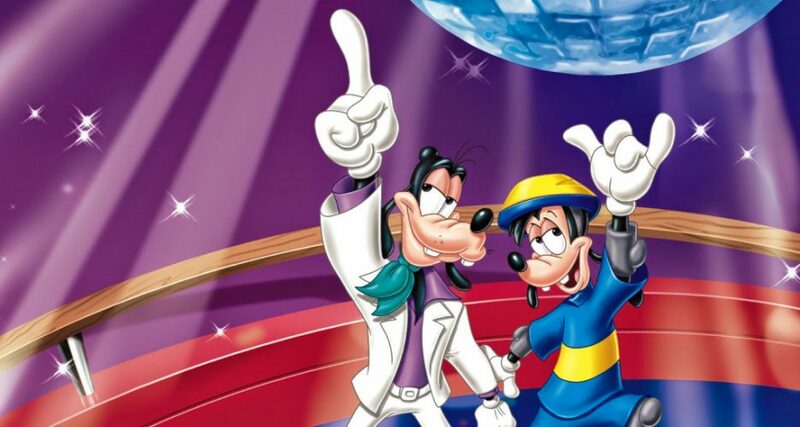 When Max enters a competition which Goofy finds out – has been won by cheating by the other team, he takes it upon himself to set things straight. The movie was originally meant for the teenage kids who were attending college for the first time. A movie most suited for kids aged between 3 and 5, ‘Pooh’s Heffalump Movie’ revolves around Roo, a baby kangaroo who hails from a place called Hundred Acre Wood. As all the citizens of the place are headed to capture a Heffalump, Roo wants to accompany them but is met with only reluctance. Unbeknownst to everyone else, Roo heads out to meet Heffalump and capture it on his own. Instead of capturing the Heffalump, Roo finds Lumpy the Heffalump kinda cute and scared of being captured and starts playing with him – something which is unusual. 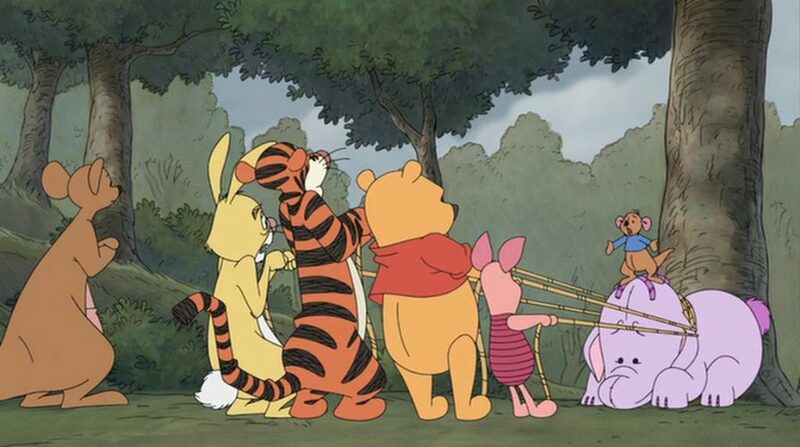 When Roo asks Pooh, Piglet, Tigger to help Lumpy find his mother, they’re all clueless and think it is still Lumpy who they need to capture. ‘Pooh’s Heffalump Movie’ would not cater to the adult audience as much as it would to children, who probably would enjoy the realistic visuals and captivating storytelling. 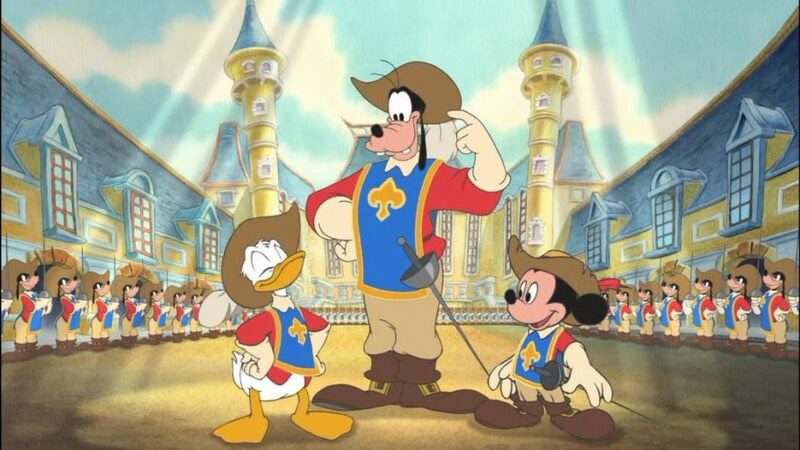 A tale of a damsel in distress who is protected by the three fervent aspiring musketeers, ‘Mickey, Donald, Goofy: The Three Musketeers’ has the trio of Mickey, Donald and Goofy who are penniless. There’s a robbery attempt on them which is thwarted by royal agents called the Musketeers and the three strive to become musketeers one day. Their plans are put into cold water when they instead end up janitoring for one of the head musketeer named Peg Leg Pete, who calls them names and treats them badly. When Princess Minnie needs protection and bodyguards, the trio is sent by Pete who devises a plan to kidnap the princess, which is successfully thwarted by the trio, thus gaining the confidence of the princess. 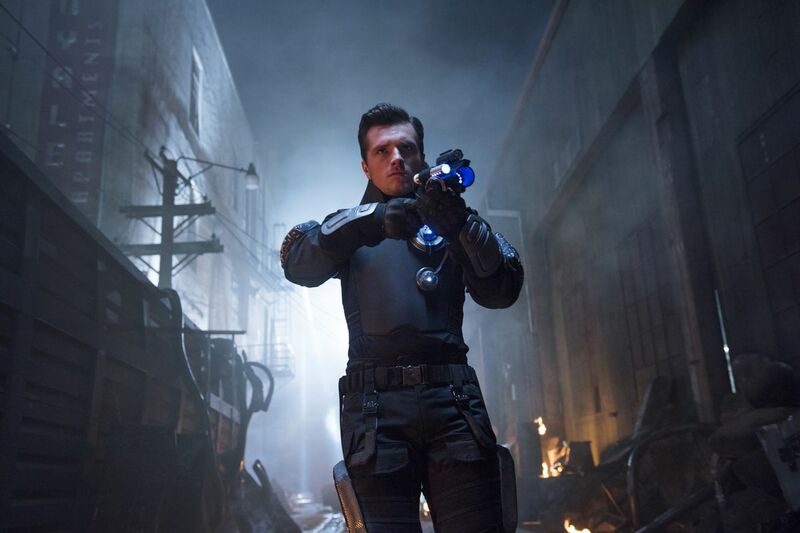 The movie is both funny and action-packed, a rare feat for a Walt Disney Feature. Captain Jack Sparrow returns for a new adventure to search for the trident of Poseidon. This powerful artefact, that gives its possessor total control over the seas, is essential to survive his old nemesis, terrifying Captain Salazar. Despite not being the strongest movie in the franchise, “Dead Men Tell No Tales” is still a fun ride that brings good memories. The movie also brings forth our nostalgic memories of the other films of the franchise, which established headstrong characters such as Captain Jack Sparrow, Captain Barbossa, Will Turner et al. For fans of action, pirates, and ghosts, this movie is a great choice! Following a simplistic storyline, ‘Mickey’s House of Villians’ is a large gathering of all Mickey’s adversaries – Captain James Hook, Ursula, Hades et al, who have gathered at the House of Mouse and have claimed to take it over from the Mouse. Mickey, Minnie, Donald, Goofy etc. are thrown on the streets and many princesses and heroes are entrapped in the kitchen. The villains then rename the house as House of Villains. With Aladdin’s help, Mickey and his pals are able to successfully retake the House of Mouse. 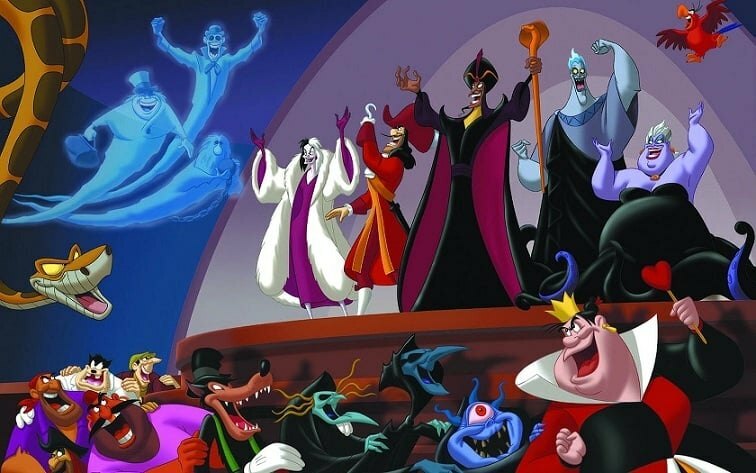 ‘Mickey’s House of Villains’ is based on a Disney’s animated series of the same name. Based on an actual person, Pocahontas is a noble, free-spirited and highly spiritual young woman. With an enormous heart, she is a lover of nature and animals that, like all of us, is trying to find herself. When she falls in love with an English soldier, they must convince everyone around them that they are a good fit. 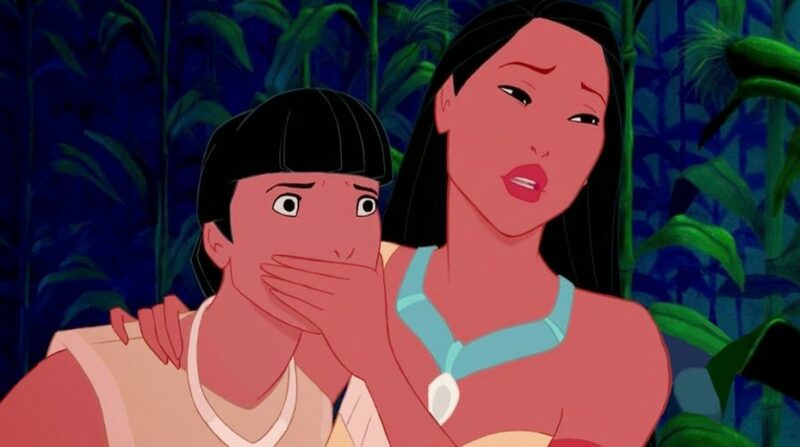 The Disney world is filled with powerful young woman, and Pocahontas is one of them. The film itself has an amazing animation and a splendid soundtrack. “Pocahontas” is an uplifting tale with a great message for adults and kids. With the voice of Tom Hiddleston as the dreaded Pirate Captain Hook, ‘Tinker Bell and the Pirate Fairy’ is the narrative of Zarina, a dust-keeper fairy who is smitten with the famed Blue Pixie Dust and in an attempt to find it out, joins hands with pirates of Skull Rock, who seemingly are planning to invade Pixie Hollow using the powers of the Blue Dust. 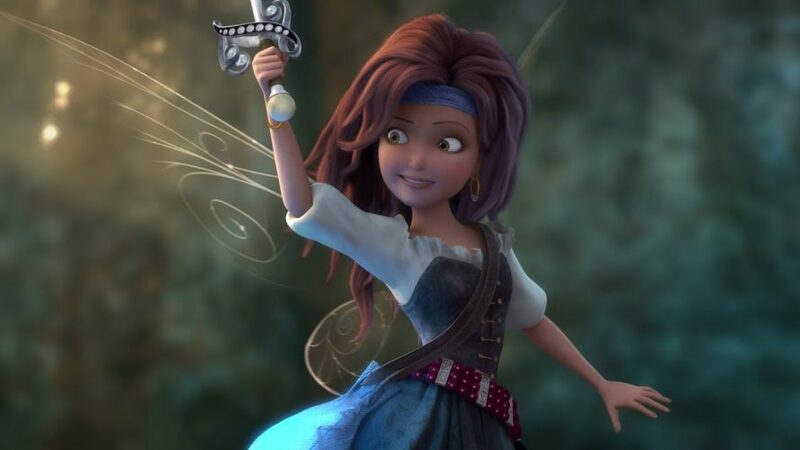 Zarina, being one of the captains of the pirate ship, will have to fight known adversaries – Tinker Bell and her companions or make amends with the fairies and return to her homeland. ‘Tinker Bell and the Pirate Fairy’ got extremely positive reviews and more than 80% approval rating from critics. The third instalment of the beloved animated film series is the narrative of the now aged and veteran car Lightning McQueen, who stares at a grave challenge of winning against the modern rookies who are far more advanced and make use of modern technological prowess. In an attempt to oust Jackson Storm, one of the modern racers, McQueen suffers a major crash and is sidelined. The rest of the movie follows the story of rags to riches for McQueen and how he seeks the help of a young race technician and improves his prowess to prove himself the undisputed racing king of all times. ‘Cars 3’ was termed “Dazzling” and “Extraordinary” upon its release as the third movie of the beloved franchise. The story of finding the lost empire of Atlantis, a kingdom under the seas, ‘Atlantis: The Lost Empire’ begins in a rather modest way with Milo, a linguist at the Smithsonian in 1914 whose grandfather was a renowned explorer. Milo believes he has found The Shepherd’s Journal, a manuscript that would lead him to Atlantis, but the museum authorities refuse to believe his logic. Milo meets with a mystery woman at his house who introduces him to Preston B Whitmore, a millionaire who is ready to fund Milo’s expedition to deep seas. Milo then gets a submarine and a crew and their expedition begin. But what is Whitmore’s motive in trying to find the lost kingdom of Atlantis is something Milo has to find out. 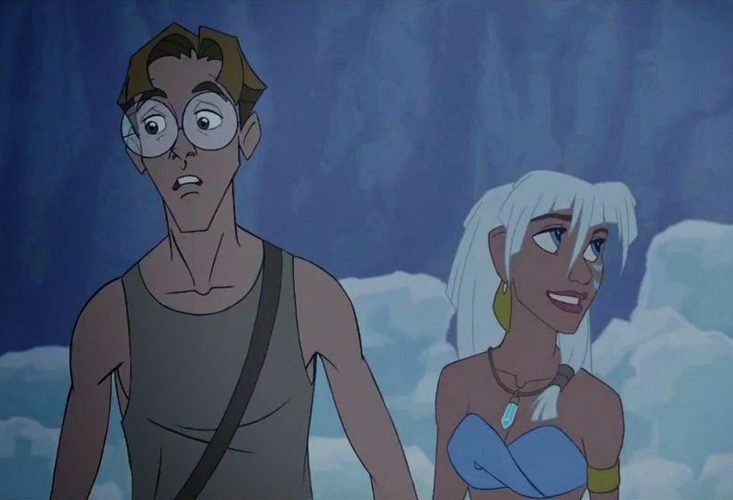 ‘Atlantis: The Lost Empire’ received mixed reviews with many critics calling it boring for adults and not ready for kids. Still, ‘Atlantis: The Lost Empire’ makes for a captivating watch despite being an animated flick. 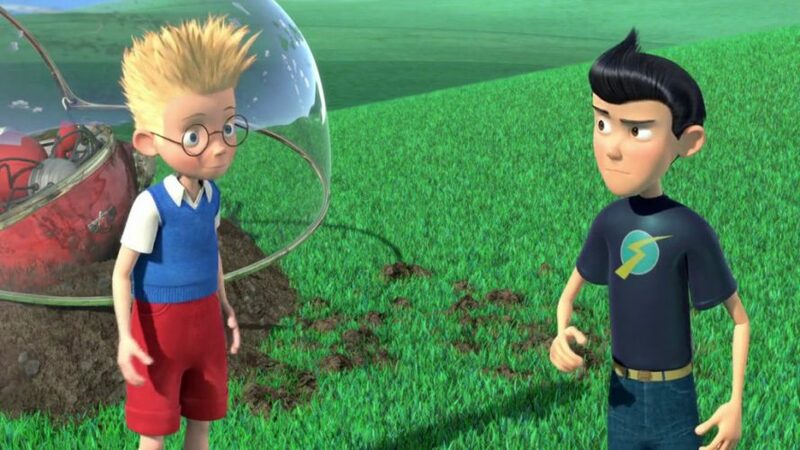 The story of a zealous 12-year-old kid named Lewis, who invents a scanner that would scan his brain for memories and locate his mother who abandoned him to an orphanage when he was an infant, ‘Meet the Robinsons’ is a becoming story of the wonder kid and how he must keep challenging himself to invent new things and save the future, which he is a part of. While carrying the scanning device to his school’s science fair, Lewis is met by Wilbur, a time cop from the future who warns Lewis about a bowler hat guy who’s been trying to mess with the timelines by stealing a time machine. Lewis is taken to the future by a reluctant Wilbur, who is revealed to be Lewis’ son and Lewis is known as Cornelius Robinson in the future. ‘Meet the Robinsons’ was met with critical acclaim, with many critics praising it for the impeccable quirkiness and the visual effects. 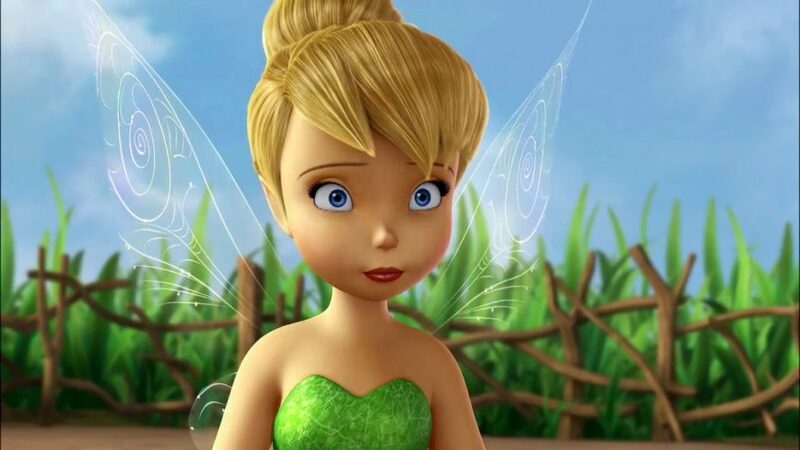 Like any other origin story, the story of Tinker Bell is heartening to watch as to how she came into being and became known for what she does. Born from the first laugh of a baby and carried over to the Pixie Hollow, Tinker Bell comes to know that she has the talent of a tinker – the creators and fixers among fairies. She meets up with other tinker fairies, Tinker Bobble and Tinker Clank and learns the tricks of the trade and as the legend goes, whenever lost things are found or broken things mend, one can safely assume Tinker Bell is around. 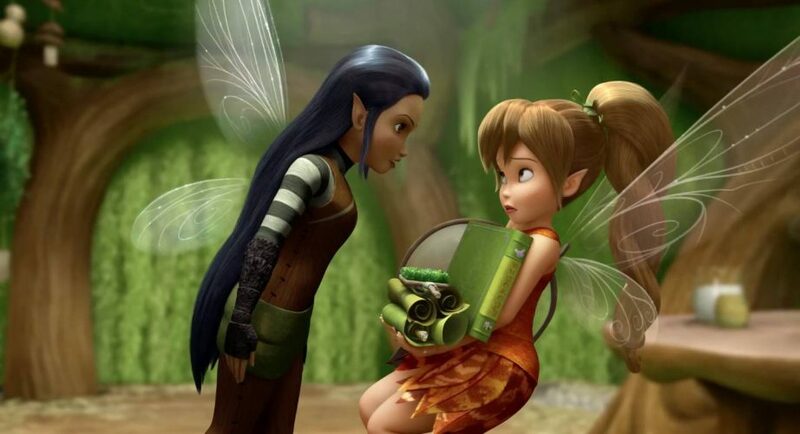 The movie received more than 80% approval ratings and critically is the most successful of all the Tinker Bell movies. Watch it streaming exclusively on Netflix. The feel-good and funny tale of a Shepherd dog who’s been nicknamed ‘Bolt’ by a girl named Penny who had adopted him as a puppy, ‘Bolt’ progresses with Penny and Bolt appearing in a television series named Bolt years later, in which Bolt plays a dog with superpowers (like SuperBark) and saves Penny in the time of need. The producers trick him into believing that he has these superpowers in real life, thus making his life even the more difficult when he gets drifted away from Penny and his group and has to find his way back – without any superpowers. 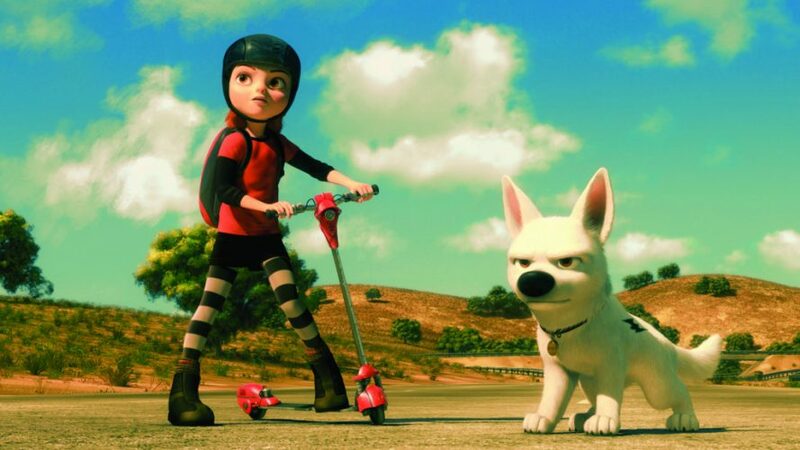 The funny, sitcom-like setup, hilarious dialogues and an outstanding animation make ‘Bolt’ one of the most likeable Walt Disney Animations ever made. Tinker Bell seems to land in one trouble or another, all the time. 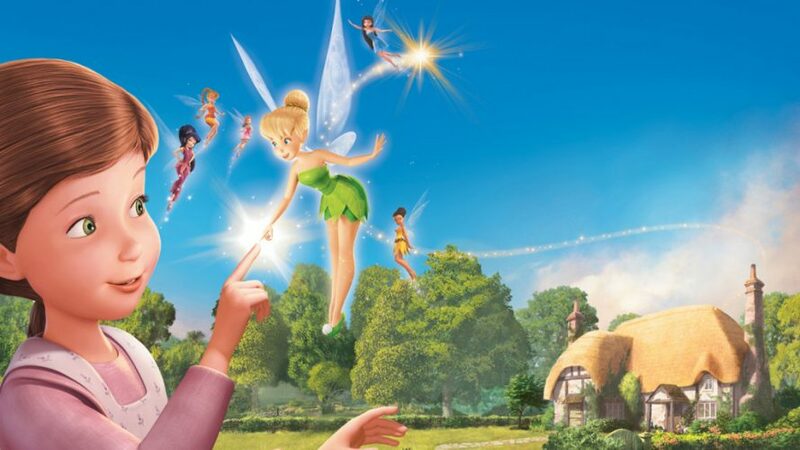 This time, Tinker Bell is seemingly stuck in a human’s house and in what seems to be her first interaction with humans, she seeks to conquer the heart of a little girl who believes in fairies. When Tinker Bell’s fairies show up at the house, sensing she might be in a danger, Tinker Bell denies and shows everyone that the little girl is now one of her dearest friends. After clarifying things with the fairies, Tinker Bell helps the girl out by making the relationship of her father with her much more amicable. At the time of its release, ‘Tinker Bell and the Great Fairy Rescue’ was one of the top-grossing animated movies. Disney’s animated classic takes on a new form, with a widened mythology and an amazing cast. This is one of the most loved romantic stories, one that we grew up watching and re-watching. In this adaptation, the audience sees a deeper story, especially behind the Beast. While giving more depth to the story, cast and crew created a beautiful, moving film worth a watch. The story surrounds a country lass named Belle, who’s on a spree to set her father free from the clutches of a cursed beast, only to find herself smitten by his ways and his backstory. Belle then vows to take it to herself and free the beast and the place of the curse. 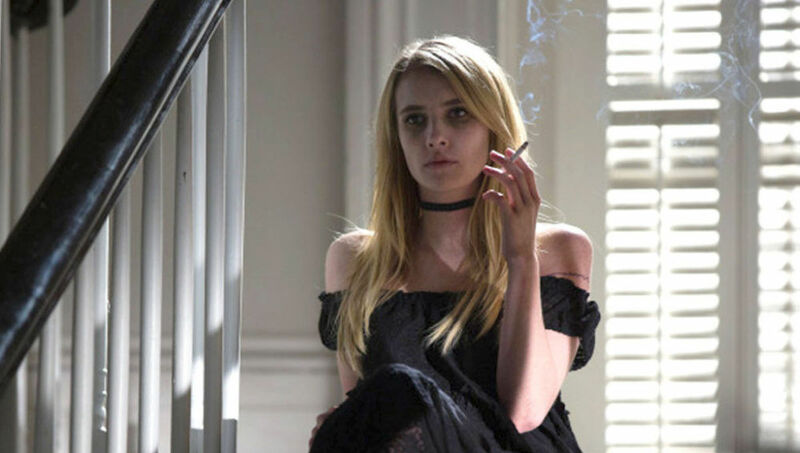 A visual stunner, the movie was also praised for Emma Watson’s performance, among others. 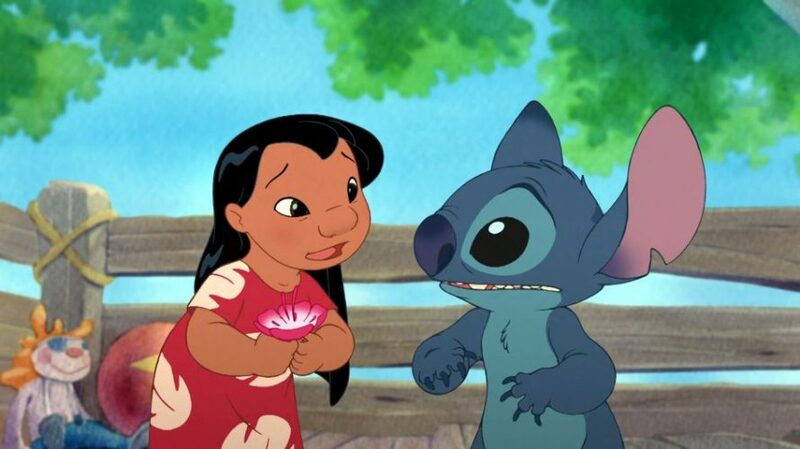 The origin story of how ‘Lilo & Stitch’ came to be together, the movie begins with Lilo, a Hawaiian girl who is also an orphan and Stitch, an experimental extraterrestrial being previously called Experiment 626, created by Dr Jumba Jookiba. 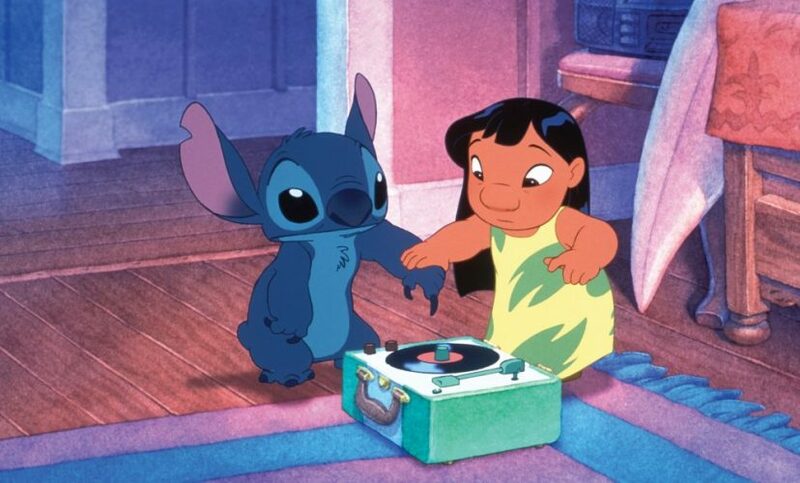 Lilo later adopts Stitch as her dog and there begins a tale of never-ending companionship. 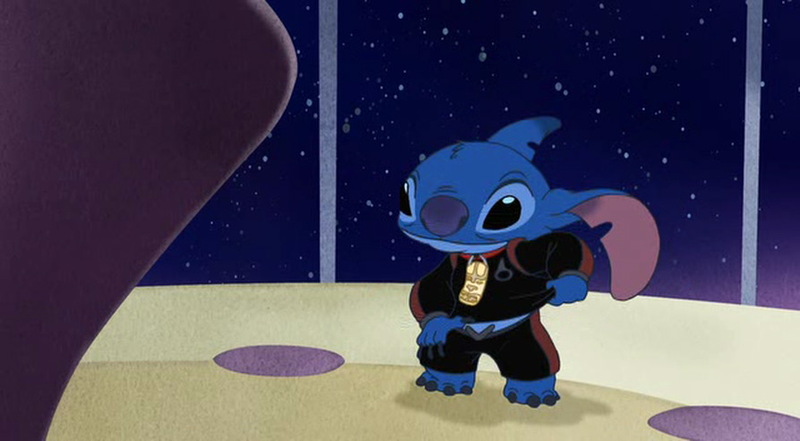 Incidentally, Stitch was sentenced to an exile on a deserted asteroid, but somehow, it escapes the punitive action by accidentally setting the course of its spaceship to Earth, only to be ultimately found by Lilo. An entertainer that highlights the couple goals in a major way, ‘Lilo & Stitch’ is a delightful watch. 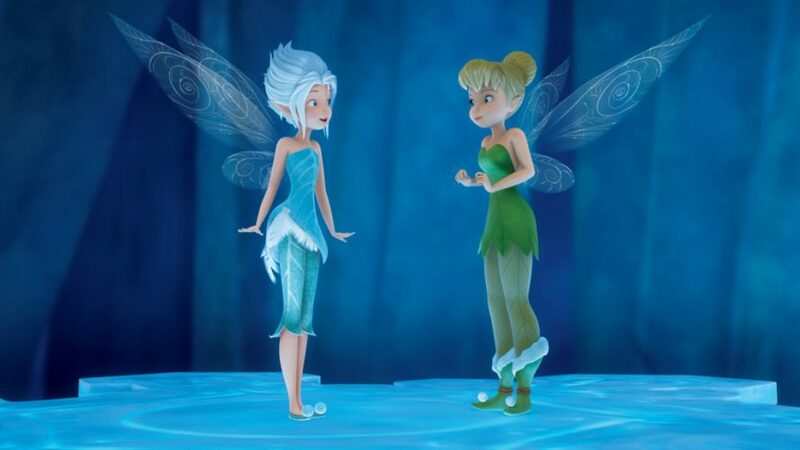 With Tinker Bell crossing the borders of Pixie Hollow for the first time, she comes tete-a-tete with Periwinkle, a frost fairy with whom she shares a special connection. Periwinkle helps Tinker Bell unlock the secret of the wings and Tinker Bell comes to know that Periwinkle is her sister. With winter woods off limits for the fairies of Pixie Hollow, Periwinkle and now a winged Tinker Bell must fight the threats that loom upon Pixie Hollow. Boasting of the unflinching bonds of love, friendship and sisterhood, ‘Tinker Bell and the Secret of the Wings’ is riled with feel-good emotions and refreshing love. 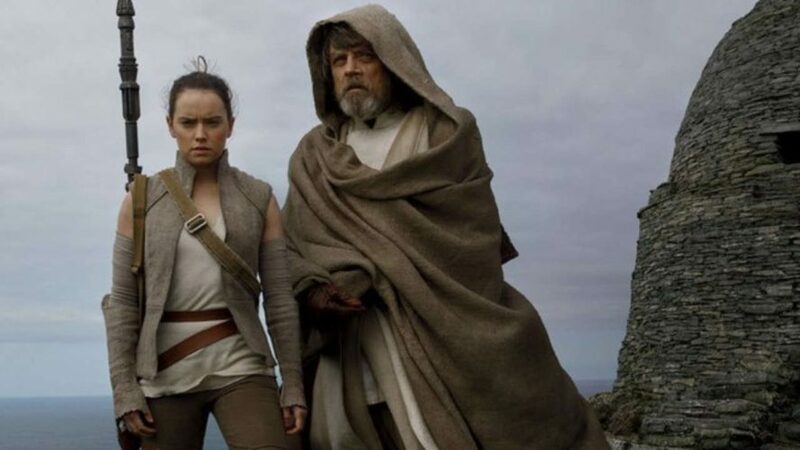 A movie that witnessed the redemption of Luke Skywalker as the last standing Jedi, followed by Rey looking up to him, ‘Star Wars: The Last Jedi’ is set in the aftermath of ‘Force Awakens’ wherein Luke strives to find his solace while guiding Rey on the ways of the Force and General Leia trying to regain the superiority of the Resistance by launching an offensive against the First Order. With some nail-biting action sequences, chase scenes and Star Wars’ artefacts, nostalgia comes quite pouring in with this movie, supposedly the penultimate movie of the Star Wars’ Sequel Trilogy. Despite having god-like strength, Hercules does not know he is the son the Greek God Zeus. When he discovers that Hades, the God of the Underworld, turned him into a half-god, half-mortal, Zeus tells him that to return to Mount Olympus he must become a true hero. 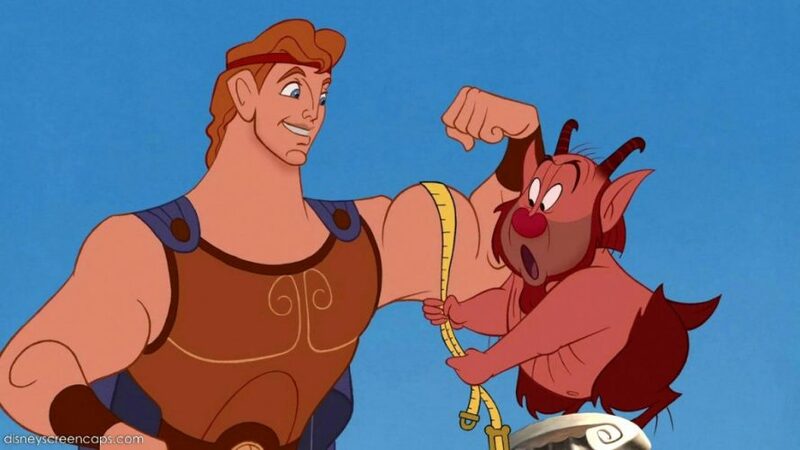 “Hercules” is an entertaining and hilarious Disney movie for kids and adults. Although the animation is a bit old school, the characters are wonderful. Moreover, you will especially love it if you are into mythology. To one of everyone’s favourite movies while growing up, ‘Tarzan’ often induces a nostalgia that’s hard to get while watching other Disney movies, to say the least. The story is set in the 1860s when an English couple land in the rainforests of Congo, along with their infant son, following a shipwreck. Soon after, the infant is picked by a gorilla named Kala from the couple’s treehouse. Incidentally, Kala’s own child was killed by Sabor, a leopard. Kala vows to raise “Tarzan” as one of her own. Years later, humans return to the jungle, most prominently, Jane, Tarzan’s love interest. Realizing a renowned childhood story on a bigger screen is like a dream come true and ‘Tarzan’ has successfully delivered on that. From the kitty of Disneytoon Studios, ‘Tinker Bell and the Legend of the Neverbeast’ is set in Pixie Hollow and friendly Fawn has befriended a giant creature known as NeverBeast. The Scout Fairies of Pixie Hollow are fearful that the beast might actually cause them harm, Fawn is of the opinion that one shouldn’t judge a book by its cover, nor an animal by the presence or absence of fangs or its sheer size. Tinker Bell and other natives of the Hollow must be convinced into believing that the Neverbeast is not as dangerous as it is perceived to be. ‘Tinker Bell and the Legend of the Neverbeast’ received mostly mixed to negative reviews upon the time of its release, this prompting the studios to cancel its sequels. 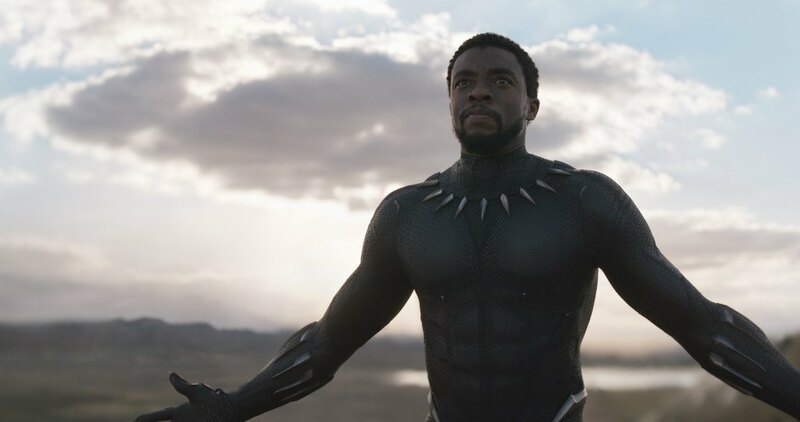 A definitive origin story, right into the heart of Vibranium stronghold Wakanda, ‘Black Panther’ tells the story of T’Challa, Son of T’Chaka – the heir to the throne after his father’s demise as shown in ‘Captain America: Civil War’. The culture of Wakanda and why it has so far been cut off from the entire world, along with its technological prowess has been elaborately shown. With ‘Black Panther’, we’ve seen the advent of many other characters such as Shuri, T’Challa’s sister, Nakia, T’Challa’s love interest, and Killmonger – T’Challa’s cousin who claims to be the rightful heir to the throne and makes it so, among others. The epic fight scenes between the tribes, the stunning visuals and the well-crafted storyline and performances make ‘Black Panther’ one of the finest movies from Marvel Cinematic Universe. Agree? Nominated for two Academy Awards, “Moana” follows a young girl, Moana Waialiki, that is a sea voyaging enthusiast. When a terrible curse reaches her island, she must persuade demigod Maui to help her fix things. Based on stories from Polynesian mythology, this movie has breathtaking visuals and an original and refreshing storyline. 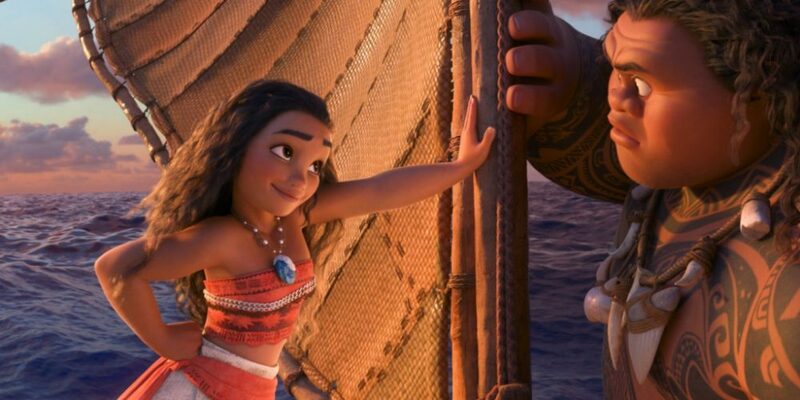 Because of a strong female lead, “Moana” is one of the best Disney movies on Netflix. Mulan is a free-spirited outcast, clumsy and unable to follow rules or traditions. Nevertheless, she has a kind heart and wants to defend her family honour, while still being true to herself. She joins the army in order to protect his father but also to prove her own self-worth. 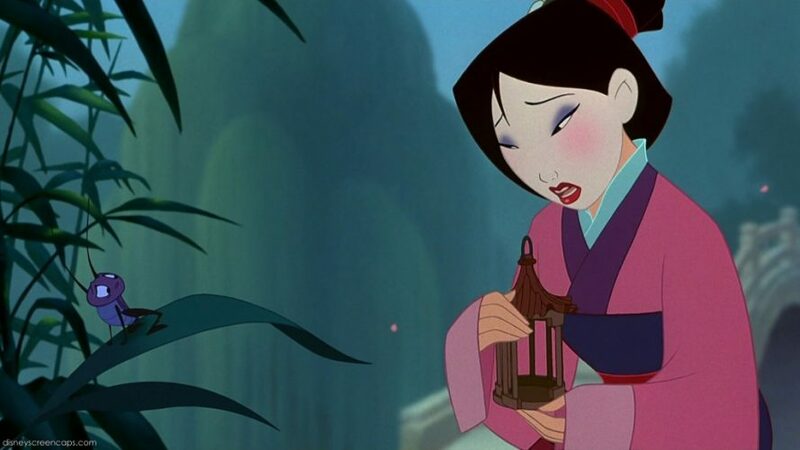 Mulan is one of few Disney princesses who are not actually royalty through either birth or marriage. With incredible characters and talented actors, “Mulan” quickly became a Disney classic about female empowerment. After their adventurous stint in Vol 1, ‘Guardians of the Galaxy: Vol 2’ follows the story of Peter Quill, Gamora, Drax, Rocket, Baby Groot, dubbed as the Guardians of the Galaxy, who’re supposedly on a quest to find more about Peter’s lineage, after stealing exotic batteries and running away from sovereign attacks. Meanwhile, Gamora and her sister Nebula have their own confrontations, Peter Quill’s biological father Ego takes everyone but Rocket and Baby Groot to his home planet, where everyone realises Ego’s evil intentions and the deeds he has done in the past, thanks to Mantis. The movie’s conclusion brings a closure to everything, including Yondu’s death and an emotional farewell, while setting its premise for ‘Avengers: Infinity War’. 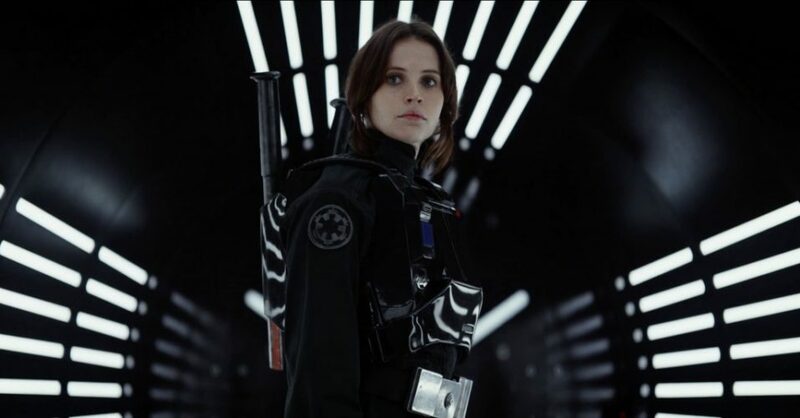 “Rogue One” is a sort of a prequel that follows Jyn Erso (Felicity Jones) while she leads the Rebel Alliance in a risky move to steal the plans for the Death Star, setting up the epic saga to follow. Although there were high expectations (because it is a Star Wars film), “Rogue One” still managed to meet them. It is an engrossing film that while it is not perfect it has everything required to make a great movie. 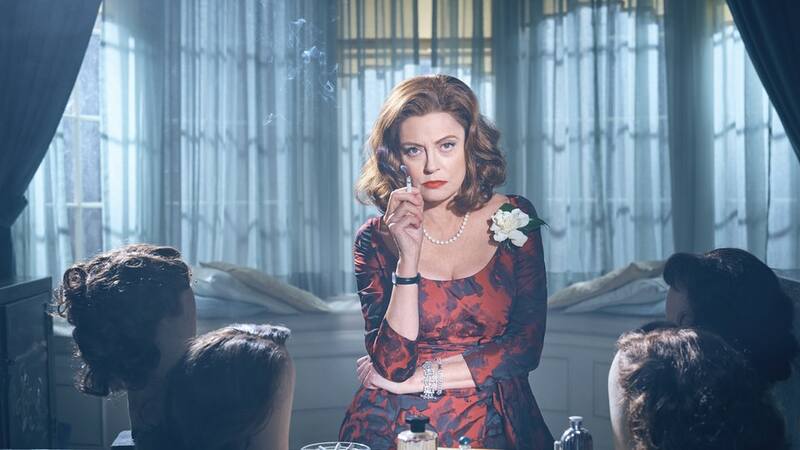 The story is very interesting, managing to stay fresh and coherent throughout. Moreover, the characters become interesting quickly, and you create empathy with them. Following the aftermath of the Battle of Sokovia, which had left a huge scar on the face of The Avengers, ‘Thor: Ragnarok’ witnessed many important events – the defeat of Surtur, the death of Odin followed by the release of Hela, Odin’s firstborn and The Goddess of Death, then followed by Thor and Loki taking a backfoot and retreating to the planet called Sakaar, where they plan to take the fight back to Hela after gathering allies. 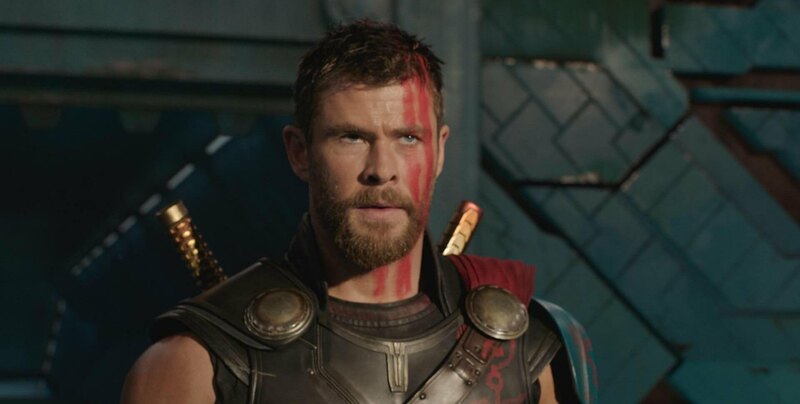 Many would call ‘Thor: Ragnarok’ overrated and a little deviating from the main storyline, but in terms of Thor’s redemption as one of the most powerful Avengers, ‘Thor: Ragnarok’ is still a compelling story to watch and listen to. 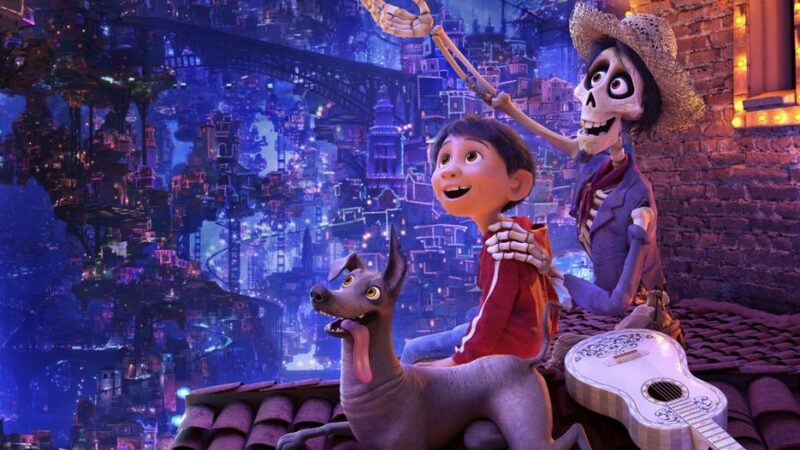 ‘Coco’ is the heartwarming tale of Miguel, a boy who has a penchant for learning and playing music. On the Day of the Dead, when everyone’s dead spirits are supposedly visiting Santa Cecilia, Miguel accidentally damages the picture of Coco, his great-grandmother and strums an ancient guitar which belonged to his great great grandfather, this sending him to the Land of the Dead. One can come back to the Land of the Living only with a blessing, and hence, Miguel needs to see his great great grandfather and seek his help before he could return. Oftentimes considered Pixar’s best work to date, ‘Coco’ will make you fall in love with animated flicks if you haven’t already. Excellent article.I am dealing with some of these issues as well..